Kogi state has confirmed one Lassa fever case at Angwan Kura in Lokoja, Kogi State. 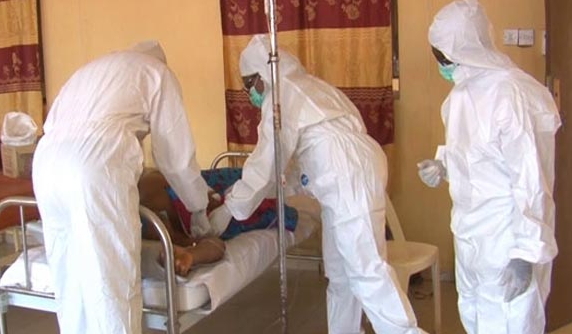 The patient, a male resident of Angwan Kura, reported at the accident and emergency unit of the Federal Medical Centre (FMC) in Lokoja with symptoms suggestive of haemorrhagic fever. His blood sample was sent to the laboratory of the Federal Specialist Hospital, Irrua, Edo State, and it came back positive. The patient was later transferred to the Federal Specialist Hospital, Irrua, for optimal care. Commissioner for Health Dr. Saka Haruna Audu, who confirmed the case, said the State Rapid Response Team was summoned and provisions made for source/contact tracing and prophylactic treatment for medical personnel who had contact with the patient before transfer. “All these have been concluded as those who had contact with the patient are being closely monitored. God have mercy, Lassa Fever as come back again, plus Meningitis,God save ur poor naija.